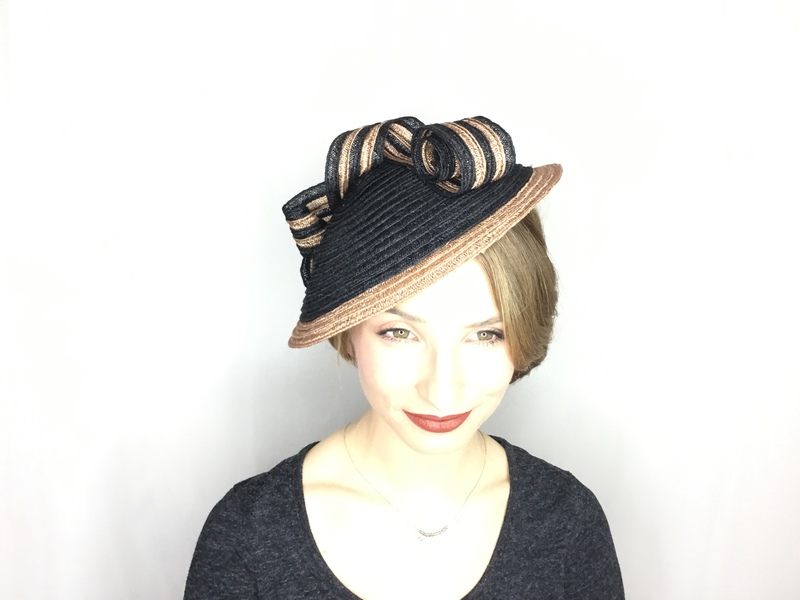 Soft, demure and sophisticated— this hat makes a lovely wedding, garden party or brunch topper. We make this hat by sewing a hemp braid in the round. 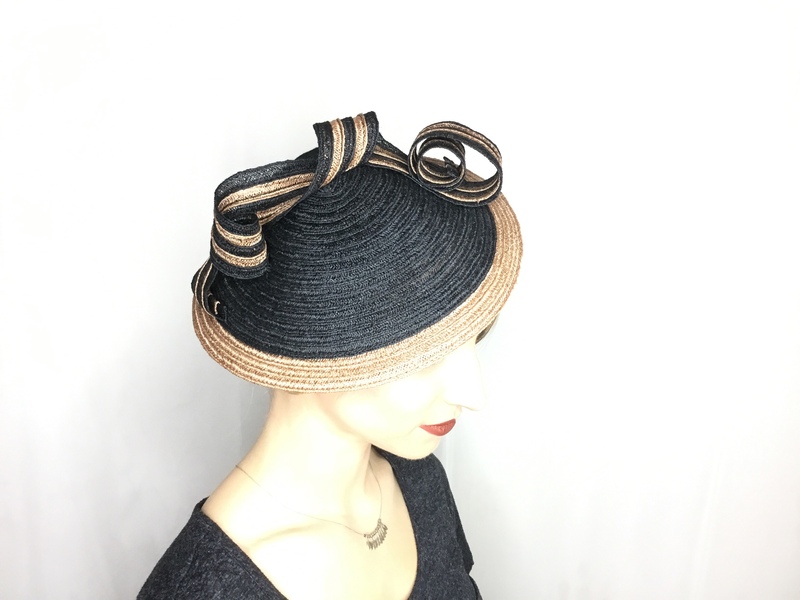 The final hat is the product of sewing and sculpting and dreaming of spring! 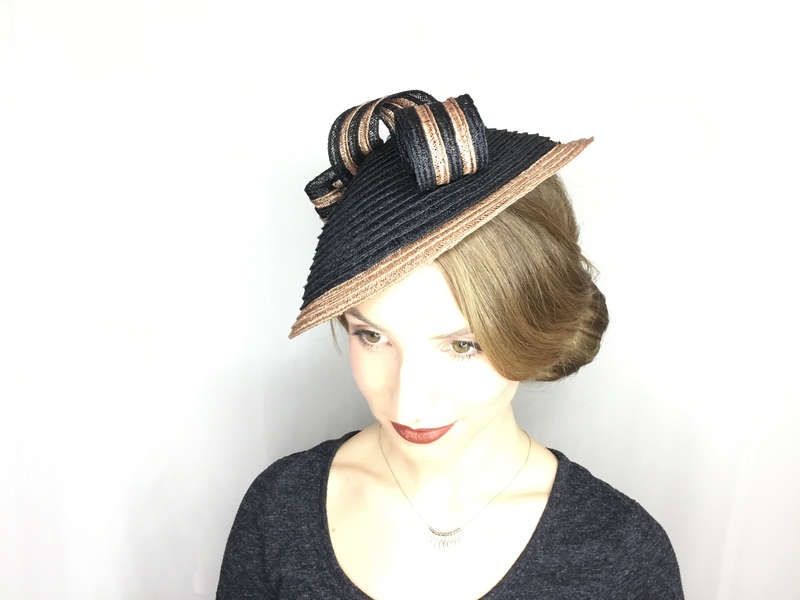 This lovely hat is held in place with a millinery elastic and one size fits all.